This article is a review of DESPICABLE ME 2. Slipping a political agenda into animated fare is nothing new. SOUTH PARK, WALL.E, THE SIMPSONS are soaked in liberal, establishment-baiting; holding a mirror up to societal hypocrisy and hatefulness. It is a shock then, to have a conservative influence writ large on a Hollywood product. For all the lowbrow divertissements that too frequently pour out of Tinsel Town, at least they often have the fragrance of broad-mindedness and some form of humanism (when multitudes are not being massacred in action flicks of course; or romantic-comedies that set back the Suffragette movement; or kid flicks geared towards selling merchandise). 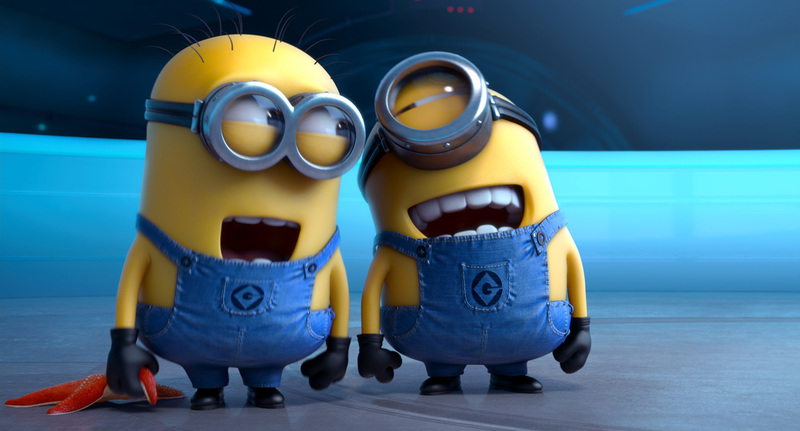 DESPICABLE ME 2 is shockingly retrograde. 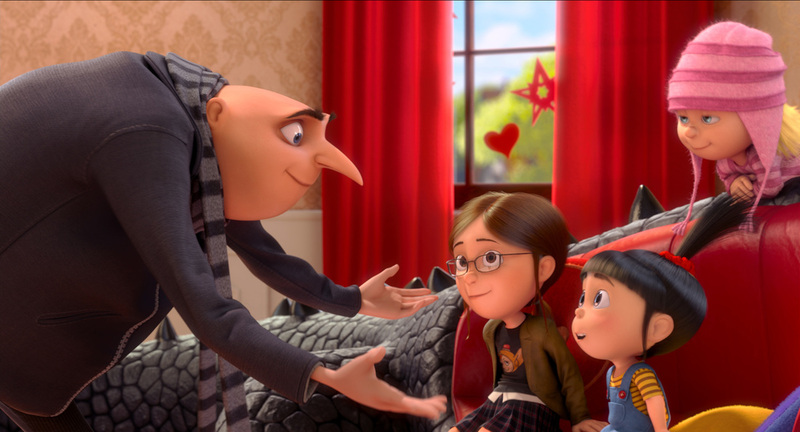 The original DESPICABLE ME has a plethora of flaws (sick bucket filling sentimentality; weak characters), but at least the conceit was solid: A super-villain discovers his beating heart through three kind children who find their way into his orbit. Luckily number two jettisons the twee, but it’s humour, if an adult can call it such, relies too heavily on slapstick that TOM & JERRY would quail at; does nobody get brain damage from the bludgeons to the head? Maybe I’m being churlish (on that front), after all, I’m quite certain little sprogs will lap it up, along with ideas like the “21 fart gun salute”. However, the unconventional family unit, headed by Gru (still annoyingly voiced by Steve Carell, we’re not in Mike Myers Shrek territory), are not permitted to remain so. When Kristen Wiig’s Agent Lucy Wilde rocks up on the scene, the rom-com mush alarms start blaring; and traditional mores are trumpeted. 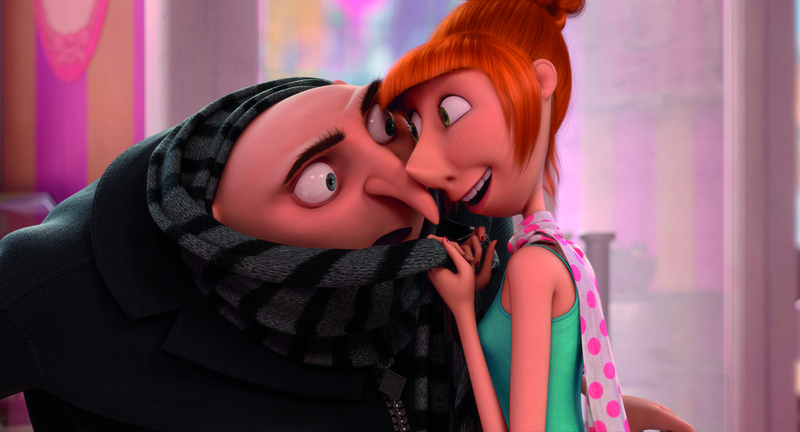 Lucy, from the Anti-Villain League, recruits Gru to aid in their search for a super-villain eluding them. The anonymous ne’er-do-well has stolen some sort of weaponised formula from the Russians, which turns any living being into mega-resilient, controllable, purple zombies. 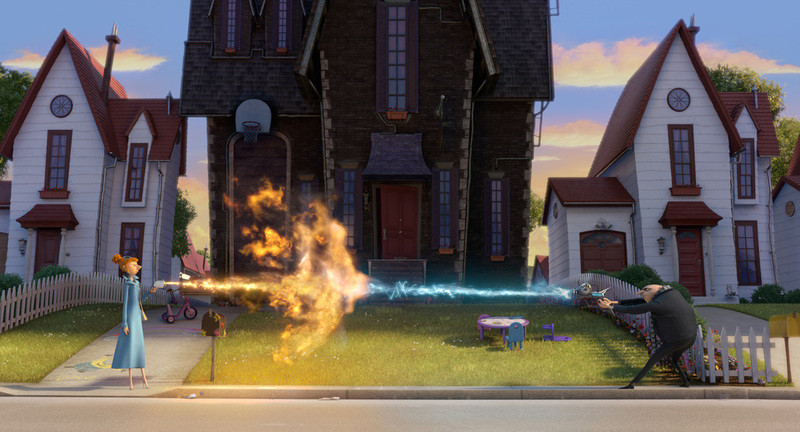 The baddie is tracked to a mall near Gru’s home (convenient!). Not in the ambitious league of THE INCREDIBLES then. Two suspects are narrowed down: A Mexican restaurateur (voiced by Benjamin Bratt) and a Chinese shopkeeper (voiced by Ken Jeong). I kid you not. Then there’s Lucy’s tea drinking douchebag Brit boss, Silas (Steve Coogan). In case you missed that, here’s a recap, all the undesirables are foreigners: Russian, British, Mexican, Chinese. Are we in the 1950s? Make of that what you will. 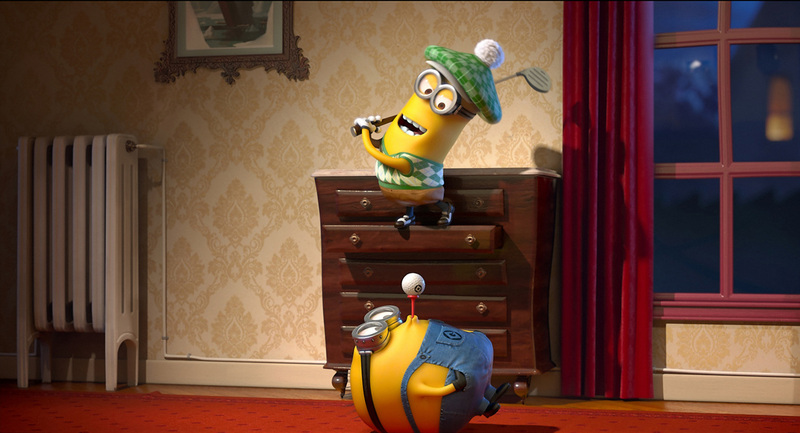 The only thing stopping DESPICABLE ME 2 from getting one star for entertainment are the Minions, inventive and winsome sidekicks thankfully getting their own film in 2014.